With the requirements for new build tenders and chase boats increasing, the complexity and sophistication of new build projects increases. Whilst there is a lot of attention given by legal teams to incorporate the best owning company structure for the mother yacht much is often forgotten when it comes to the owner supplied items, most notably the high value tenders onboard: where they are built, registered, delivered and the VAT implications. This article attempts to provide a simple and clear explanation of the options and considerations gained through first hand experience of Superyacht Tenders and Toys with multiple new build tender orders. Many superyachts will register their larger tenders independently with the flag state of the mother ship, for example the Cayman Islands. Depending upon the flag state there may be certain criteria the boat must meet, for example this could be in the form of safety equipment, VHF, DSC, AIS and the qualifications of the operator. When cruising in certain countries, a local registration may also be required (e.g. United States, Croatia, Turkey). This is only required when a tender is not solely transporting guests to and from the mothership and the shore, or is out of line of sight of the mothership at any time. This would be particularly important for Chase boats and larger RIBS. Local registration is common in the US and it is recommended that all large tenders be locally registered (if they do not have their own full registration already) so that they can cruise independently as required. A common option is in Delaware. 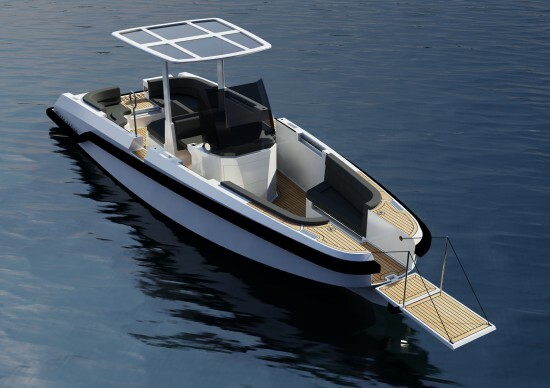 This gives the tender the flexibility to cruise whenever and wherever it wants. Local registration in somewhere like Delaware in the US is an inexpensive and easy process only taking between one and two weeks and it lasts for up to three years, whereas full registration is a more complex and expensive procedure. The very nature of VAT is complex and for any purchase or specific questions a professional advisor is recommended. Many people go to complex lengths to build a structure where tax can be reduced for their yachts. If you walk down a busy superyacht dock you will undoubtedly see offshore jurisdictions such as the Cayman Islands, Panama, Marshall Islands, and Jersey represented by the flags hanging over the stern of the yachts. It is often the case that the financial structures used to fund and acquire a super yacht are far from straightforward and are either aimed at hiding the true identity of the owner or the party providing the funds for the purchase, or to produce significant VAT cash flow advantages. As a general principle it is only possible to recover VAT on costs incurred if it is possible to demonstrate that there is an ongoing business activity which, in VAT terminology, will generate taxable supplies. In the case of the yachting world, this means that it will only be possible to recover VAT on the purchase of a tender, if it is to be used for a business activity (such as charters). Where is the tender being purchased? Is it in or out of the EU? Where will the tender be delivered? Will local importation be applicable on delivery if not paid on purchase? Will the tender be exported out of that country or region following delivery and therefore no VAT due on purchase? Where is the owning company or the company whom are buying the boat and paying the invoices registered/domiciled? Is it offshore? 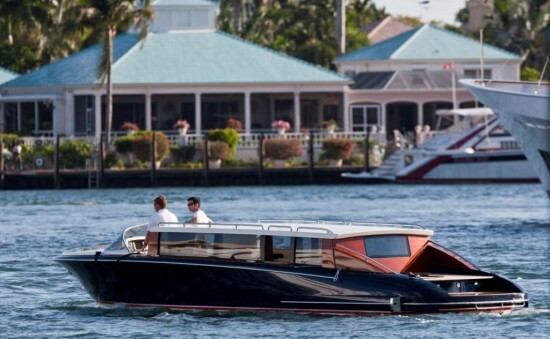 Is the main yacht the tender will be on registered as commercial or private? Does the yacht have a recent charter contract and proof of business activity? For yachts in refit or conducting large scale works, is the boat temporarily imported and not paying tax on purchases? Payments must then come through the yard or the company managing the import. Does the yacht have a formal relief scheme in place? e.g. is the boat imported into Malta, Isle of Man or similar and can a VAT number be provided with no VAT then due on purchase, or VAT reclaimed after purchase? Depending upon these answers we can then decide whether VAT is due on the purchase. Tax authorities are tightening up on tax abuse cases and no shortcuts or avoidance measures can be used. Superyacht Tenders and Toys offer clients a full management service for new purchases and are able to offer advice and guidance on all new purchases, shipping and delivery to ensure full compliance and peace of mind for owners, captains and managers. Each tender is delivered with all appropriate paperwork and comes with full-service and technical support. Josh Richardson is the managing director of Superyacht Tenders and Toys, a one stop shop for all your yacht tender and yacht toy needs. Areas of expertise include new build production and custom tenders, chase boats, RIBs, plus popular yacht toys such as the Jetsurf, Seabob, Inflatables, Yacht Slides, Jetlev-Flyer, Submarines and all Watersports gear. Give us your requirements, size, type, budget and location and we will provide you with all options available, all at the best price. Superyacht Tenders and Toys is able to assist with the consultancy, purchase, rental and support of all aspects of tender and toy ownership servicing the worlds finest yachts and backing this up with excellent after-sales support. The U.K.-based company also has offices in Cannes and Fort Lauderdale. 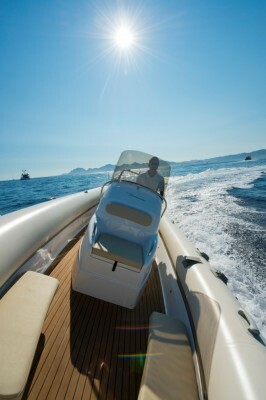 Find out more at www.superyachttendersandtoys.com.